This is where I got stuck, trying to find the perfect song. So. There is no such thing, but a couple youth were asking each other their favorite church songs last week and “Gather Us In” and “Lord of the Dance” were their answers, and that makes me pretty happy. A week ago, I went “up the hill” to have lunch with my friend who stood with me in my wedding. We haven’t gone up to Lake Arrowhead for awhile, especially to the village area (we camp there with church on Memorial Day weekend and CG’s friends Labor Day weekend), especially in the fall, and I was reminded of its loveliness so close to where we live. We ate lunch overlooking the lake, and it was beautiful and peaceful. It was a Friday and it was busy but not weekend busy. Computerguy and I got married there and we used to get up there fairly often. While I was there, my friend gave me a Brontë Sisters mug. It’s a great mug, and a fun, thoughtful gift. My mom and my kids. Thankful for all of them. How do you choose? We celebrated my mom’s 75th birthday last month. The kids have Thanksgiving Week off and they are flying to her on Saturday. We will going them on Thursday. So this month, I am truly thankful for her. And I am always thankful for her. Since I’m working on it right now, I suppose I am thankful for my MacBook (and all my Macs from the past). It’s a pretty great machine. Words and the word and The Word. Words. The Rev. Traci Smith, who wrote Faithful Families, a book we bought all our church families, offers a November 2018 Gratitude Every Day calendar. 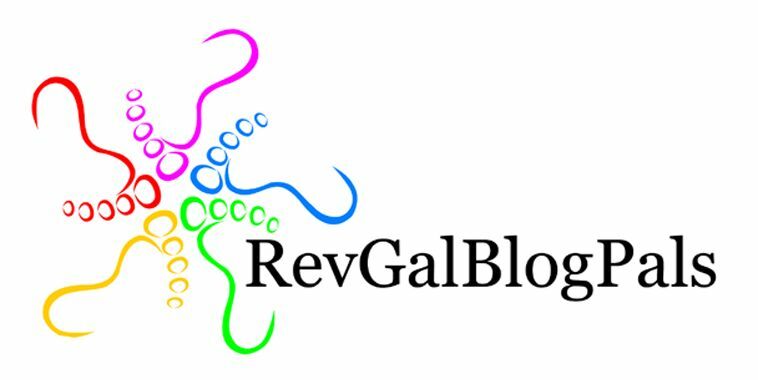 The calendar has just a small box in which to write a gratitude, but I haven’t blogged for a long time, and it’s November, so I though I might try blogging my gratitudes. People have mixed feelings on Gratitude posts every day in November. They can seem like bragging. I hope the prompts on Smith’s calendar are more reflective. I missed yesterday which might be a boon. I can’t be perfect if I try. I say something I hadn’t said before and wouldn’t say again in those years, “Coke, I guess, but I’d really rather a Dr. Pepper.” And he pulled out a Dr. Pepper he had bought at an import shop for me. Perfect moment for both of us, I think. Day Two: A color I am thankful for: Well, purple of course. It was my favorite as a kid. I had a purple room. It’s my favorite now. And it’s Computerguy’s favorite. So we had a purple wedding, and it was all good. It’s also the color for Lent and Advent (though we do blue in our church). 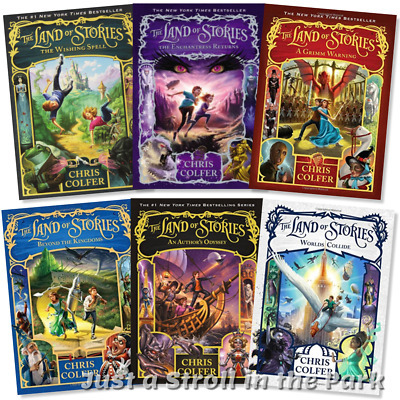 The girl chose The Land of Stories book 1 a year ago when she was gifted a choice of books on her way to sleepover camp. She picked it because it was good and thick. She didn’t get to the book then because they kept them busy and her counselor read to them during rest time, but she read it soon after. She really enjoyed it and ran through the whole series of 6 books quickly. I saw how intrigued she was, and I liked the premise (2 kids find themselves in the world of fairy tales), so I asked if I could read one. The series was written by Chris Colfer of Glee fame, so I had my reservations, did he get to write it just because he was a celebrity? In fact, from the first book, it was super clever and imaginative. The writing wasn’t fabulous, but the ideas really were. Twin brother and sister find themselves in the world of fairy tales and go on a quest to find spell pieces so they can return home. The fairy tale characters were fun to meet and main characters Alex and Conner were well drawn. It was worth reading. I continued to slowly read the second book, and by the third I was hooked. They continued to be clever with surprising twists and turns. I could guess some, but not all of them. They are long books, and maybe could be a bit shorter; I got bored at a few points in the penultimate one, but by and large they are fast moving and exciting. It’s a series well worth reading if you like books and fairy tales and teenage angst. The minor characters are filled in more and more as the series on and the writing improves quite a lot between 1 and 6. Really fun read. I’ve shared many books with my girl; it’s one of my great delights of mothering a daughter. We’ve read or she has read and we’ve talked about Harry Potter (all 7!) and Anne of Green Gables (all 7!) and Little Women (3 out of 4) and The Chronicles of Narnia (3 out of 7) and Madeleine L’Engle’s Austin Family series (the first 3 anyway). She’s also read a bunch of series I don’t know anything about (Benedict Society, something about spies and clones) and a 5 part series (Land of Stories) I began reading at her request (it’s taken me awhile, but I’ve enjoyed it). 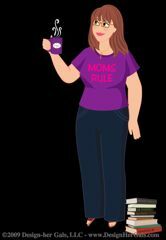 For all the fantasy and science/speculative fiction series and fun, the girl says that her favorite books are realistic fiction. She’s been on a kick right now of historical fiction around World War II and the Civil Rights era. But her first taste of realistic fiction is still her favorite, and it utterly delights me. 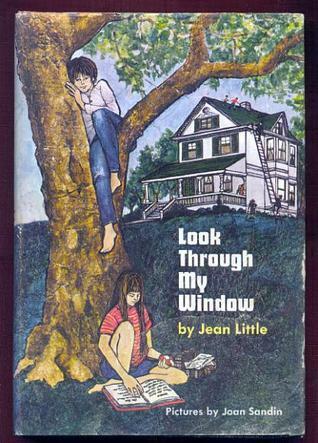 Jean Little is a Canadian author of books for middle grade kids (or, as I like to say, books about 10-year-old girls, though she did eventually expand that slightly). As a 10-year-old-girl (or 8-11), I felt a resonance with the girls in her books that I didn’t feel with any others, even Madeleine L’Engle’s protagonists, whom I loved. Jean Little’s protagonists were so normal and so me. They read a lot. They never quite felt like they fit in. They tried anyway. I think my first one was One to Grow On. Janie doesn’t quite fit in with her family. She doesn’t fit in at school. She wants to be like the popular girls except that she doesn’t. It just resonated with me. And then the school library in Taiwan (grades 4-6) had a bunch of the books. And I read them all. And re-read them. I lived and laughed and wept with Sal who comes home from a special needs boarding school to live at home and go to regular school for the first time and Anna who comes from Germany as an immigrant and learns she has vision trouble, and Jenny whose twin brother died in a car accident, and Janey who’s just a normal misfit kid, and Laurel who is shy and protective of her little brother, and Emily who writes poems and is lonely. And then, my senior year of high school, Little’s autobiography came out. I read it, and in some ways I could have been reading about myself. I understood why I resonated so much with her characters. We were so utterly alike. Part of it is the third culture kid thing, but part of it has to be just deep and intrinsic personality. And so. As a grown-up, I slowly collected all her books that I had loved as a kid (Yay for trips to Powell’s Books first and later Amazon). And so it was with some trepidation that I handed the girl a Jean Little book. The girl was and is not me. For starters, she is not a third culture kid. By the time I was reading these books, I was living in my 4th country. She has lived in one house her entire life, gone to one school, one church (except when she was tiny). but she was a 10-year-old girl, and she liked to read. So I took the chance. And it was good. She has read and re-read them. She is surprised and a little put out that they aren’t well known, that no one has made movies of them (“they’d be easy movies to make, Mom”). They are akin to Katherine Paterson’s books and Paterson’s books have recently been made into films (and the girl has read both Bridge to Terebithia and The Great Gilly Hopkins) (and the writers know each other– Little discusses the connection in her second autobiography), but Little’s books are smaller in scope and they are Canadian, not from the US. The girl’s very favorite, a little bit to my surprise though it shouldn’t have been, is Look Through My Window, the story of Emily, the lonely only child who lives in an apartment in the city and writes poetry who suddenly finds herself big sister to 4 small cousins living in a big house in the country. The girl child has always wanted younger siblings. Emily gets to live out the dream. This is not just Wordgirl’s favorite Jean Little book, it’s her favorite book. Period. The one she keeps in her bed and reads when she can’t sleep or just needs something to read. It’s THE book. So, slightly obscure books written by the almost blind daughter of medical missionaries from Canada. The things that catch our attention. Computerguy was a big fan of the original iteration of BattleBots. Enough so that he showed the kids old videos, we followed the first new season, and since have gone to a couple of tapings. The boy loves it! He knows all the bots and their trainers. We do family movie/game night on Fridays. We take turns choosing an activity. We’ve introduced movies to our kids this way. They have enjoyed The Swiss Family Robinson and Escape to Witch Mountain, 2 of my favorites, but haven’t run for the books or wanted to re-watch them or anything. The kids have been on a new Pixar appreciation run. The had enjoyed DVDs of Pixar shorts and Inside Out, but the boys was never a Cars fan in spite of it being all the rage when he was little (It was hard to find little boys things that weren’t Cars themed). He was much more interested in Star Wars (which he did like early much to my spouse’s delight) and shorter pieces like Dora and Diego and Mickey Mouse Clubhouse. And Pokemon. It took our kids a long time to like movies as well as TV shows. The kids are surprised when we tell them we used to get babysitters so we could go see the new Pixar films. The boy is entranced by Up right now and we watched The Incredibles before we went to see The Incredibles 2 (and all 4 of us agreed we liked the second one even more). Computerguy and young Mathkid did a run of Roald Dahl books this year. That was fun. So, the boy likes some of the things we like (and I’ll talk about a few more in the both kids section), but he also likes a lot of newer stuff. His favorite books to read himself are the Diary of a Wimpy Kid books. He loves Captain Underpants. His new obsession this summer are the Origami Yoda books. He loves YouTube and has favorite YouTubers. We try to keep a watch on what they are, and they seem to be pretty unobjectionable so far. Most of them are either game players or funny videos. One of his most interesting things to me is Wild Kratts. He has loved this show since he was small, and he still does. He and I were talking about it this morning because there were new episodes (an exciting morning!). He was waxing nostalgic about watching it with his grandfather and sister before he was even in school, and he still loves it. We have our Tivo set up so that it records all the episodes and deletes none, and he still goes back and watches them. And he knows more about animals than I ever will. He can pull up facts about animals anytime, anywhere (like during jeopardy), and it’s pretty much all thanks to Wild Kratts. So we will continue to share with him the things we love, and we will continue to learn to love the things he finds. There is such an abundance of imaginative stuff out there. What a world to discover! Tonight we went to see GodSpell at the community college where I teach. It was really good. And it’s so faithful to the scripture. When explaining it to the kids, I told them it was the Gospel of Matthew sort of translated into hippie 1960s culture. So they said, “you mean it’s 2000 years old acting like it’s 50 years old?” I was taken about by the 50 year designation, but yes, pretty much. And it is. But it is also contemporary. And it’s gospel. ComputerGuy and I were talking on the way home about how community college can do things almost no one else can. It was a creative production with extra physical and verbal bits thrown in that my son loved (“Mom, my favorite part was the Mario music”). Jesus was a small black young man, powerful singer. John/Judas was a tall white young man. There were cast members of all shapes and sizes, black and white, Asian and Latinx. They used flowers and bandanas as symbols of Jesus’ followers, and hand sanitizer in the “foot washing” scene. And Jesus broke bread, (and for me, having broken bread this year, and spoken his words, I saw that in a different light). Because I mostly listen to the music, I forget how much of the book comes straight from the Gospel. They’re telling parables and stories and the sermon on the mount and recreating scenes. I found the sheep and the goats particularly poignant tonight. “Whatever you have (not) done for the least of these my brothers, however humble, you have (not) done for me.” I’m struggling to put this into words, but I was also struck by the natural speech rhythms of Jesus. When we read scripture, especially in church, it’s a production. To simply hear Jesus saying these things to his followers gave me a different sense of them. We had just watched NBC’s live Superstar the other night, and it noticeably ends on the cross. So here, when Jesus comes down from the cross and slips in with the disciples, and the pure joy is expressed–both his and theirs–it seemed particularly meaningful. I am fascinated by the sudden resurgence of both these musicals. In a culture where people are fighting over what it means to follow Jesus, we may be asking, “who is this Jesus?” These were two really different portraits of Jesus, controversial when they opened–that reflect the culture of early seventies America and England, both worth contemplating as we ask, who is this Jesus we follow? and what does it mean to follow him?